Sick one Trent. Somebody gonna score. 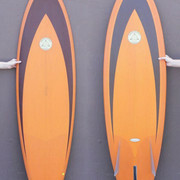 Any interest in a Moonlight Glassed custom 6'7 x 21 x 2 7/8 bonzer5 and the donated organ of your choice?